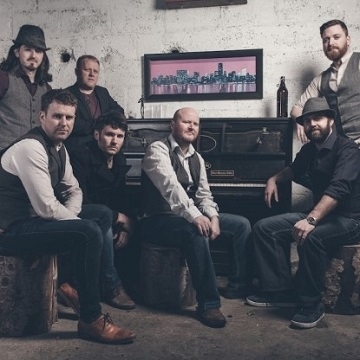 Irish Band Pilgrim St are strongly influenced by Bluegrass, Old Time Country and Folk Music, and fusing this style with traditional folk songs from this side of the Atlantic, Pilgrim St bring a warm and lively atmosphere to venues around the country with their concerts. With a setlist made up of covers and their own original songs they have played some high profile gigs including Electric Picnic and Vicar street ( with Declan O Rourke ). July 2015 saw the release of their debut E.P. Welcome to Pilgrim St, recorded live in a one day session in Crookedwood Studios, Slane, featuring the wide range of musical styles the band possess in five original songs. The band is currently writing for the next release.